Both are part of a season-long residency at The Underground Collaborative, 161 W. Wisconsin Ave., Milwaukee, Lower Level. We did a whole mess of theatre just a few weeks back: extra "Gruesome" performances after the original run, a Season Announcement Party, Season Auditions, and the first reading of our Under Construction Play Reading Series featuring a brand new play from my very good friend, Salt Lake City-based playwright Matthew Ivan Bennett. Matt and I met 20 years ago when I moved from tiny Manitowoc, Wisconsin, to Cedar City, Utah, to attend Southern Utah University. We did our first professional tour together out there, and we've been friends ever since. And I'm thrilled to say Matt's already lent such a big hand with The Constructivists in so many ways, but in addition, he's now graciously joined the team officially as our Literary Manager. I'm very proud to support art from my friends when I'm able, and being even a small part of the "Art & Class" process brings me joy. The May 6th reading, and the feedback he received, has hopefully helped with the next draft. But back to SEASON ONE. If I've said it once, I've said it a thousand times. Martin McDonagh is my Spirit Animal. I'm a huge fan of his words and hope to maybe cover his entire canon if given the chance. But "Pillowman" hits me on so many levels, I want to share it with Milwaukee not only from the female eye but also as the mother of a Special Needs teenager. 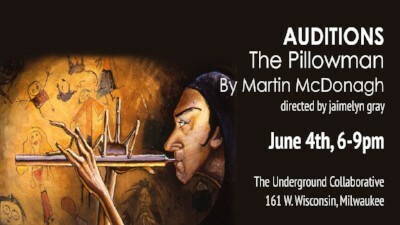 If you've never come across "The Pillowman," the story surrounds two siblings being held in a totalitarian state jail on suspicion of multiple murders and one sib is a special needs adult. The story just might hit me in a different way than others. And the tale is a great one of the ramifications of child and systemic abuse. And it's thrilling. And terrifying. A good official season beginning for The Constructivists. But then I had to find the right show for balance. 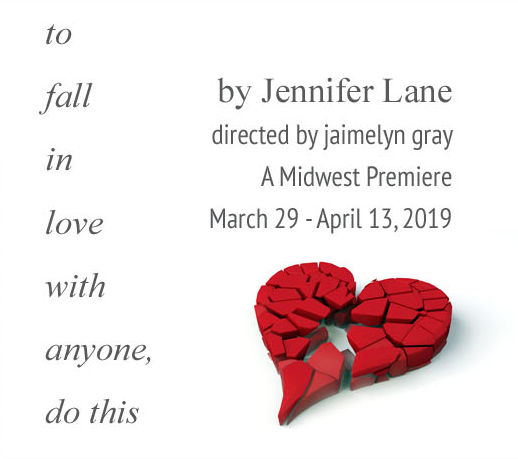 Matt and I read many a new play, but "To Fall in Love with Anyone, Do This" offers audiences a glimpse into other people's grief in a completely intimate way. A couple is giving their marriage one last shot after their lives have taken a different turn due to a family tragedy. More than 20 years ago, the psychologist Arthur Aron watched as two strangers, sitting directly across from each other, fell in love in his laboratory as they asked each other a series of 36 questions he had prepared. 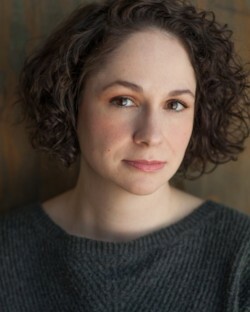 Jennifer Lane's intense play follows Merryn and Wyatt using these questions as a means of reconnection over the course of the play in real time. It's made of the heart, emotion, and visceral pain The Constructivists feed on. We're excited to be able to bring this brand new work by a talented female playwright to you. I know we're new to the community, but my love for live theatre comes from deep within and that love will live through The Constructivists. And I know I'm a recent transplant from Chicago where I've spent the past 10 years, but you can take the girl out of Wisconsin, but not Wisconsin out of the girl, and I already feel back home. I've brought all I've learned with me and I hope I, and the Constructivists, can share great art with you. These productions and more Under Construction readings are only the beginning. Jaimelyn Gray is an Actor/Director/Producer born and raised in Manitowoc, Wisconsin. She spent a few years traveling the country, eventually landing back in Wisconsin and graduated from the University of Wisconsin-Oshkosh. Now the Artistic Director of Milwaukee's newest theatre The Constructivists, her acting credits include the Utah Shakespeare Festival, Milwaukee Chamber Theatre, Riverfront Theatre (Rockford), Profiles Theatre (Chicago), Eclipse Theatre (Chicago) TUTA (Chicago), and more Chicago storefront theatres, and most recently collaborated with Luda Lopatina Solomon to form Chicago's only English-Russian cross-cultural theatre company, Bluebird Arts. More at jaimelyngray.com. 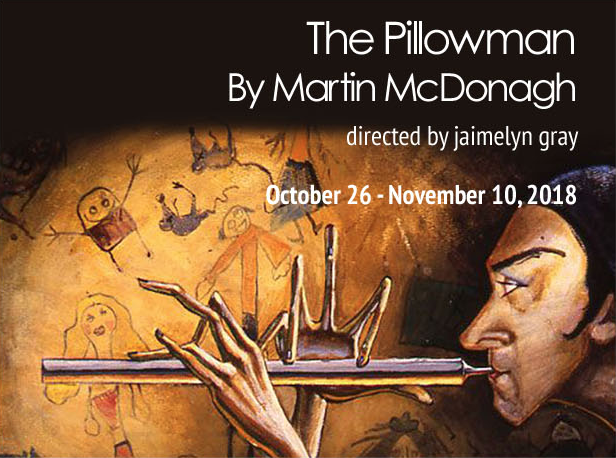 Audititions for "The Pillowman" by Martin McDonagh are ongoing. The next round is coming up the first Monday in June at the Underground Collaborative. Information and sign up links are at theconstructivists.org. Follow all things Constructivists on social media, or our blog at theconstructivists.org. We never share your information with a third party. We’re so happy to have you on board! See you soon!